In the Technology Education Class, students learn about everyday technology by doing things themselves and experimenting with project learning. Technology skills are modern craftmanship skills that can also be used for creative expression. Schools must give students the skills and knowledge they need to be able to influence their future. The Technology Education Class supports students’ technological literacy, i.e. understanding how the world around us is constructed from a technological point of view. The Technology Education Class is a model suitable for different grade levels, where the projects form a consistent thread for learning. It is a pedagogical continuum that combines subjects in a meaningful way. Projects may sometimes continue from one grade to another, evolving along the way with students’ skills. The projects are carried out as part of everyday school life, from everyday technology perspectives. The active role of students in building knowledge and collaborating is essential. The Technology Education Class requires a versatile learning environment, including a workshop space and a digital working environment. The technology-oriented classroom includes space, time, tools and materials for working with your hands, experimenting as well as creativity and design stemming from everyday problems. Experts from local companies and educational establishments always play a role in the projects. Their role is to share their know-how with the students. The operating model is extensive and therefore its adoption requires longer term work. The steps below offer guidelines for experimenting with the model, using everyday technology as an example. If you feel that the model is something you would like try out, be sure to contact us! 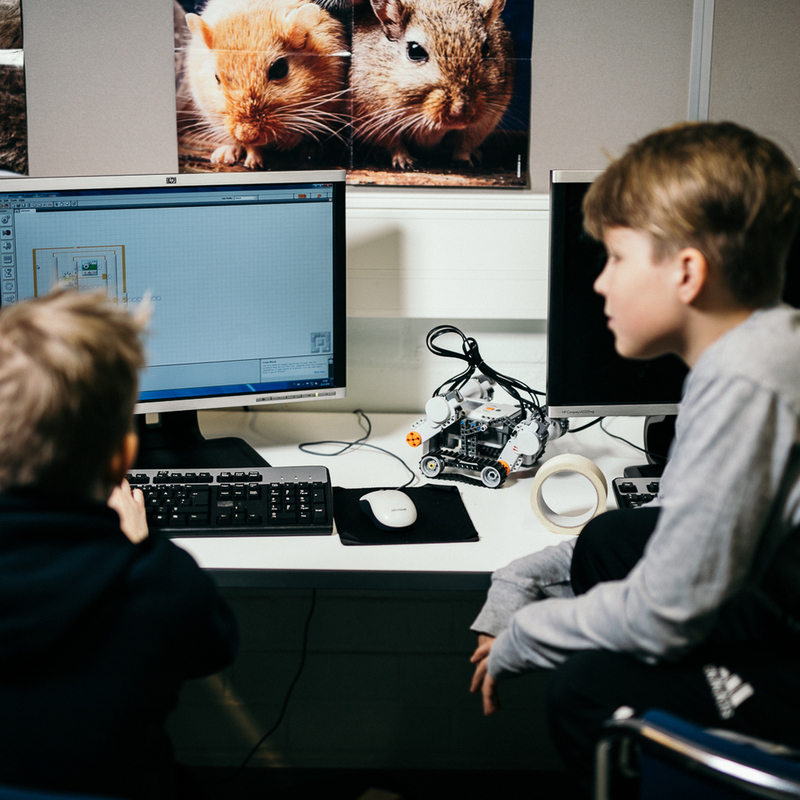 The Technology Education Class model was developed in Oulu at Rajakylä School, where developing began in 2012. At present, this model for teachers with technology-oriented teacher training is also being applied in junior high schools. In addition, in the fall of 2017, the thirteen new locations began testing the model. The innovation supports learning by creating a smart continuum utilizing cross-curricular project work. The knowledge and skills for utilizing programming, robotics and construction are improved, all the while raising team spirit. Implementing the innovation requires investments from the school. The field of the visiting experts and contents of the projects can be customized depending on the educational environment. The Technology Education Building Blocks explain the pedagogy and content behind the model. The Building Blocks explain the pedagogy and content of all four learning units. Choose the most appropriate learning unit, or part of it, for your class. These include: 1. everyday technology, 2. robotics and automation, 3. product design and entrepreneurship, and 4. games and programming. Think about the goals you will set – that is, which school curriculum content can be combined with the project. Each project includes an expert visit, which aims to to attach a topic into real-life experience. An expert may be, for example, a visitor associated with a theme from a local company. If you feel this model was for you, ask management for permission to establish a technology-oriented class and contact the Rajakylä School technology team and get started with your class.